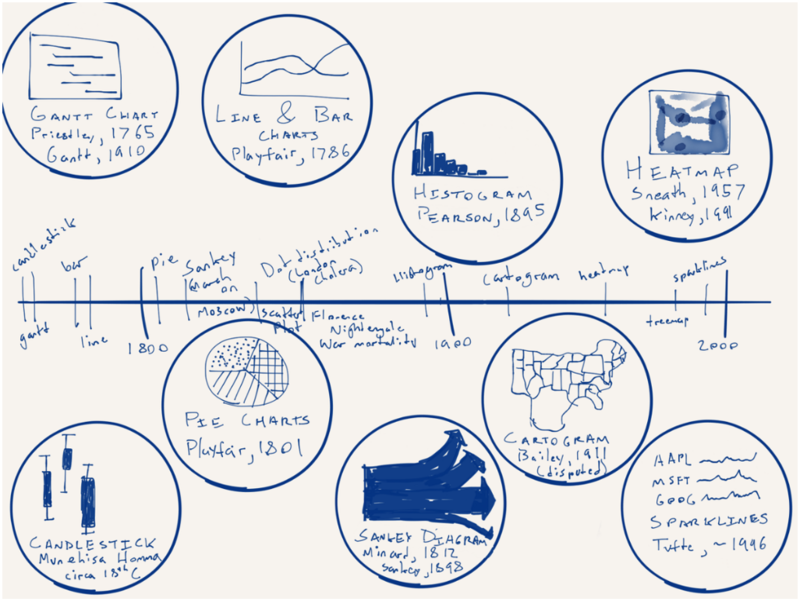 Yesterday we talked about a static graphic from the New York Times that ran front and centre on the, well, front page. Whilst writing the piece, I recalled a piece from Politico that I have been lazily following, as in I bookmarked to write about another time. And suddenly today seemed as good as any other day. After all, this piece also is about women running for Congress, and a bit more widely it also looks at gubernatorial races. It tracks the women candidates through the primary season. The reason I was holding off? Well, we are at the beginning of the primary season and as the Sankey diagram in the screenshot below shows, we just don’t have much data yet. And charts with “Wait, we promise we’ll have more” lack the visual impact and interest of those that are full of hundreds of data points. But we should still look at it—and who knows, maybe late this summer or early autumn I will circle back to it. After all, today is primary day in Pennsylvania. (Note: Pennsylvania is a closed primary state, which means you have to belong to the political party to vote for its candidates.) 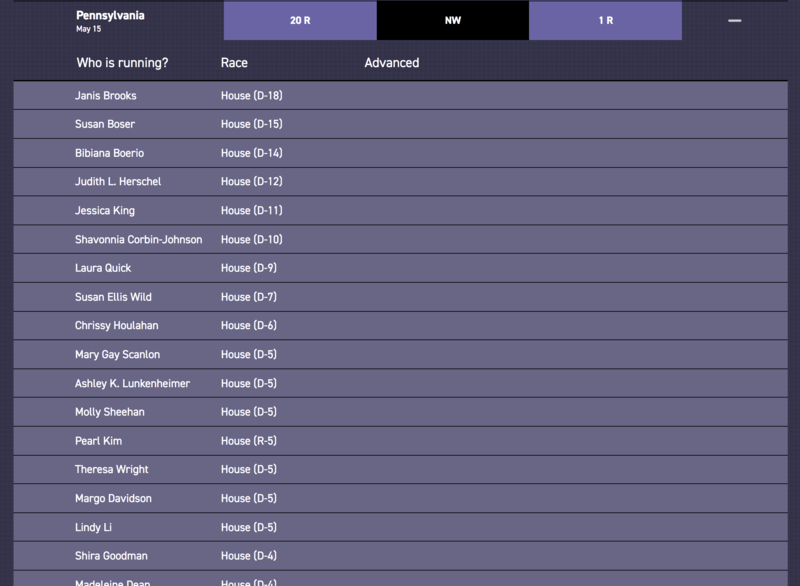 So this tool is super useful looking ahead, because it also shows the slate of women running for positions. I really like the piece, but as I said above, I will want to circle back to it later this year to see it with more data collected. Could Marine Le Pen Have Won? Well not likely—it was going to be tough regardless. Today’s piece is also from the Wall Street Journal and it was posted Saturday, the day before the election. 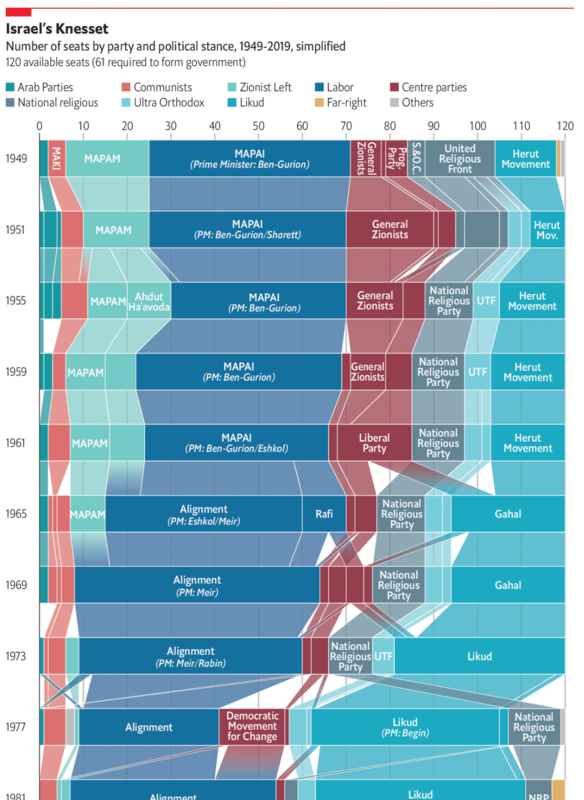 It used a Sankey diagram to explore the support that Le Pen would have needed to draw from every candidate in the first round to get over the 50% mark in the second round. If anything this chart is not the story. The story is that the final count I saw put Macron not on 60%, but on just over 66%. Credit for the piece goes to Stacy Meichtry and Jovi Juan. 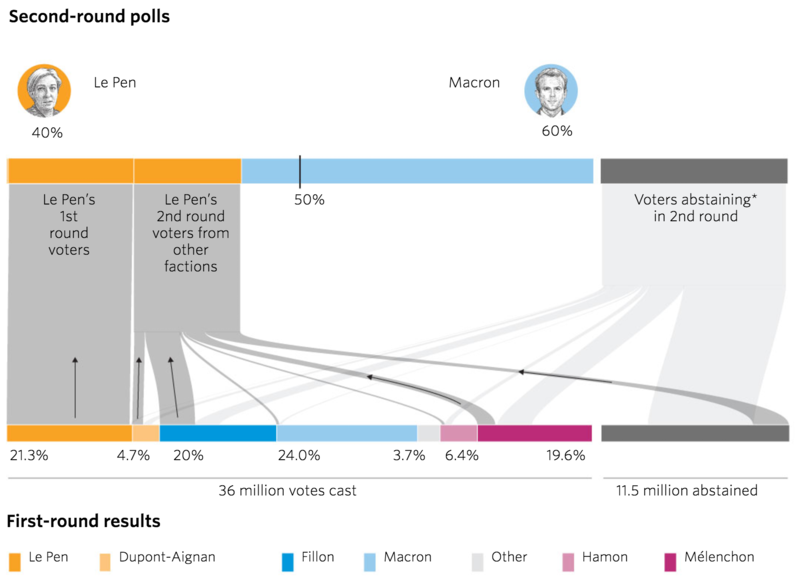 Author Brendan BarryPosted on 9 May 17 9 May 17 Categories InfographicTags data visualisation, France, French presidential election 2017, infographic, information design, Sankey diagram, Wall Street JournalLeave a comment on Could Marine Le Pen Have Won? 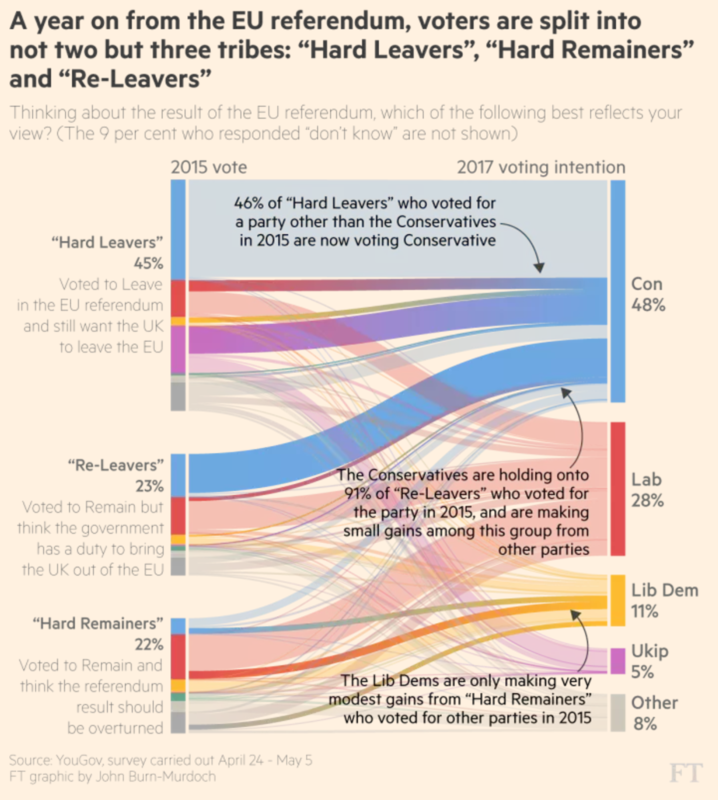 Author Brendan BarryPosted on 22 February 17 22 February 17 Categories InfographicTags Brexit, Guardian, IndyRef2, infographic, information design, politics, Sankey diagram, Scotland, Scottish independence, United Kingdom1 Comment on Scottish Independence? Last week Scotland voted for its parliament, Holyrood. The Scottish National Party did well enough, the Conservatives picked up quite a few seats, and Labour lost quite a few. The Guardian put together this piece looking at the results and the stories contained therein. 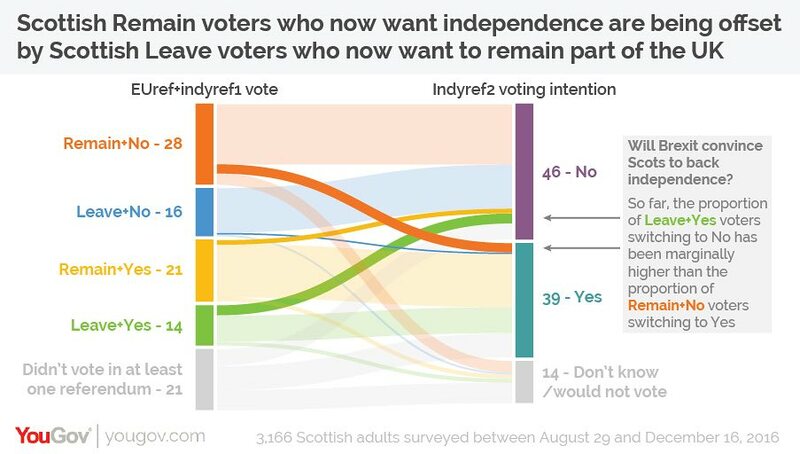 But I want to focus on the graphics, the big piece of which was a map of Scotland with each constituency represented by a small Sankey diagram. 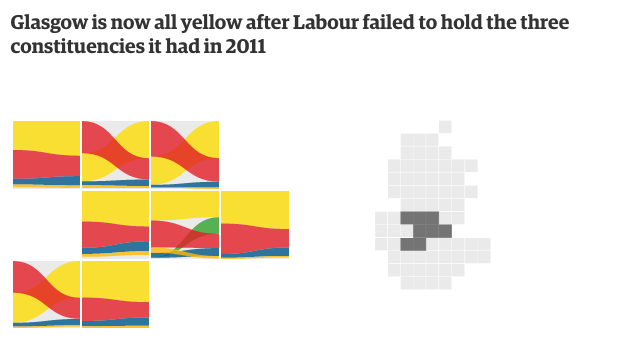 You see that generally, Scotland is a sea of yellow, surging blue, and diminishing red. But what about the numbers for each constituency? 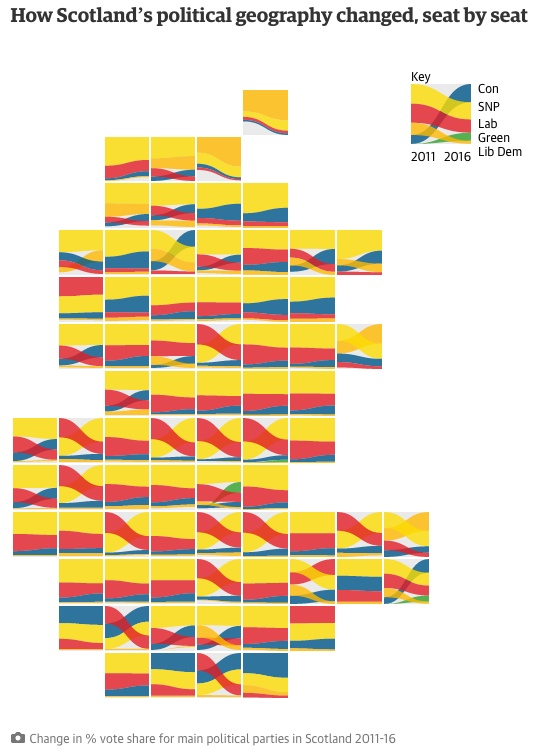 The interactive nature of the chart lets you see the 2016 results mousing over the constituency. Normally I would say that a piece like this is missing an easy way for someone to find their own constituency, however, this is not a results page, but an article on the results, so something like a search bar is not necessary. What I really enjoy, however, is that when the story breaks down the results by regions, the map becomes an abstracted series of squares used to highlight the constituencies in focus. It is a really nice reuse of the concept and the overall graphic. 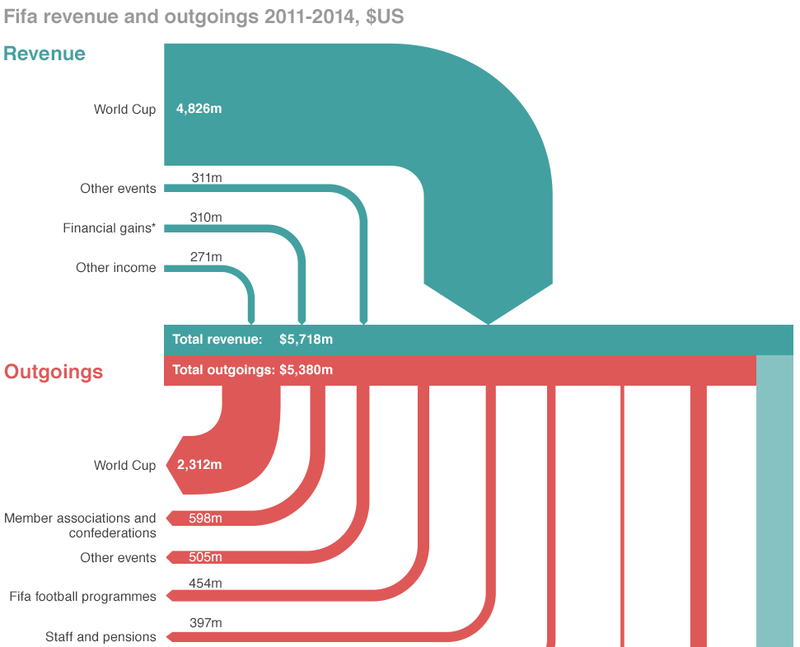 While I hate coffee, I do like sankey charts. 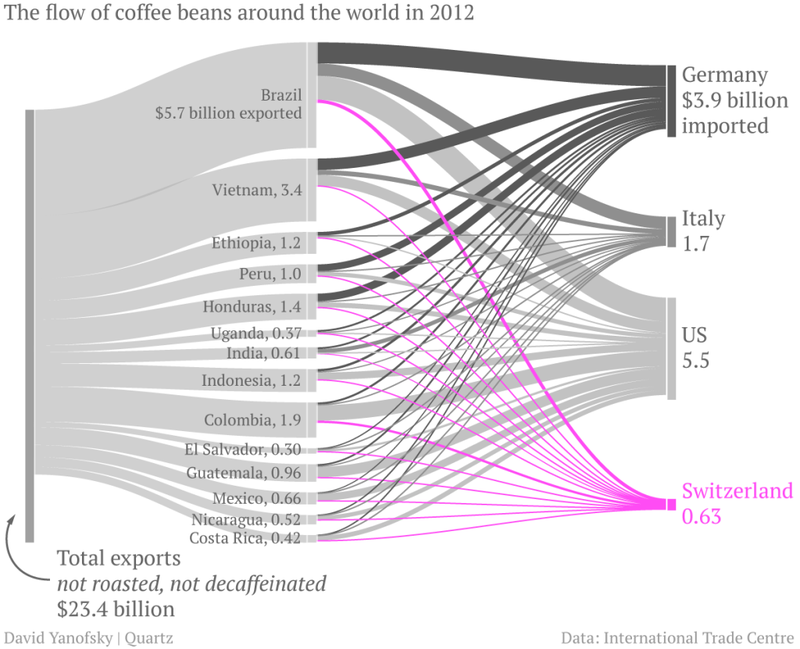 And this piece from Quartz makes use of one when discussing the exports of coffee. In particular, the article focuses on the value that coffee manufactures, e.g. Nestle, add to Swiss imports of un-roasted beans before exporting them roasted. (Increasingly in little pods.) Overall, the piece is of a digestible length and worth a read. If you like coffee. Personally, I’m sticking with tea.